If you weren't one of the 53 percent of Hitman players who succeeded at the game's first Elusive Target, you'll get another chance to prove your assassination skills soon. Developer IO Interactive will be implementing the next Elusive Target, known as The Congressman, next week on May 27. As with the previous Elusive Target, you'll only have 48 hours to log on and take them out. If you let them get away, either by not playing the game during the two-day window or by missing your mark and letting them escape the map, or dying yourself, that's it; no retries or do-overs. 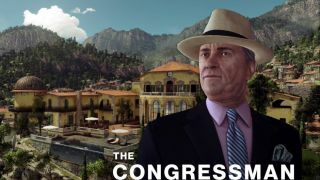 While the previous Elusive Target meandered around Paris, The Congressman will be appearing in Sapienza. Where, specifically? You'll have to use the intel provided by your handler and keen assassin senses to figure it out. Good luck!